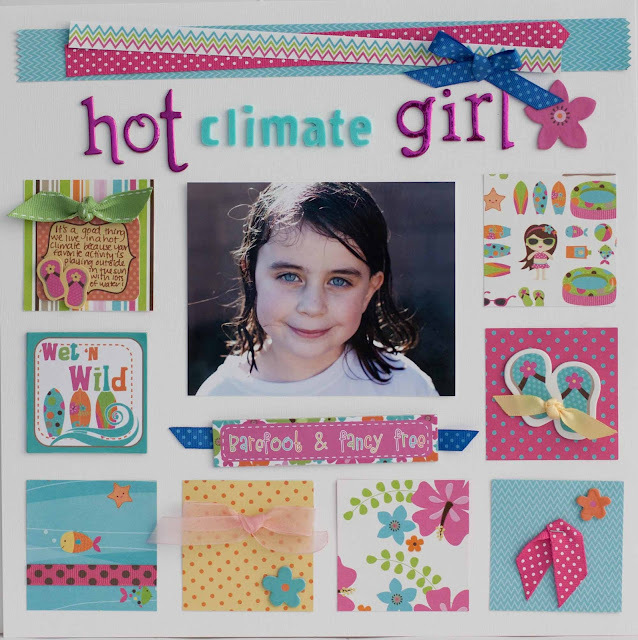 First up, my Imaginisce iMagicut layout is on the Imaginisce blog today. If you haven't heard of the iMagicut you must go over and check it out. It is the cool hand held tool that cuts and sears ribbon so that it does not fray. And last but definitely not least, have you been hopping around the 2 Peas Garden Girls Gardener's Digest March Blog Hop? Well then you would have seen one of my Remember This Scrapbook Circle layouts on 2 Peas Designer Jill Sprott's blog. So cool! WONDERFUL layouts Rebecca! sorry to hear you aren't feeling well, hope you feel better soon! Love the last LO. The colors coordinate so beautifully with the pool photos. OH! and hope you feel better quick! It's funny !!! J'adore ! I hope you are feeling better by now!! I love that first layout with all the squares. 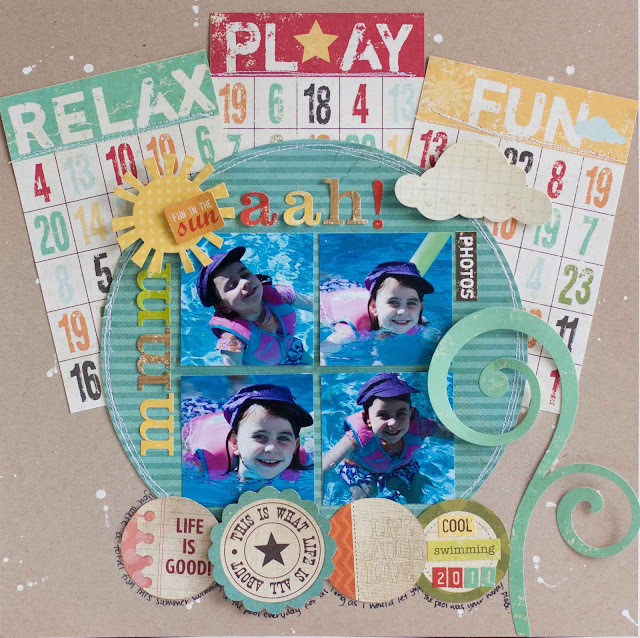 Both layouts make me wish for summer and swimming pool time. I hope you are feeling better soon Rebecca! This is so much fun I too am in ove with the circle elements! A lot of people are crazy about soccer or football; it is one of the most popular games in the world.